Ram Charan, Samantha, Devi Sri Prasad and Sukumar’s Combination most awaiting classical cult of 1980’s Rangasthalam 1985 Movie. Ram Charan is playing as Uneducated Engineer and deaf man in a village who has hearing problem named Chitti Babu, Samantha is playing as village girl named Rama Lakshmi, Aadi Pinisetty playing as Chitti Babu’s brother Kumar Babu who is Educated. Jagapathi Babu playing as Villain role who is President of the Rangasthalam Village and ruling as a Dictator. The Rangasthalam Movie is coming under Director Sukumar direction has huge hype in Industry and among the Audience. 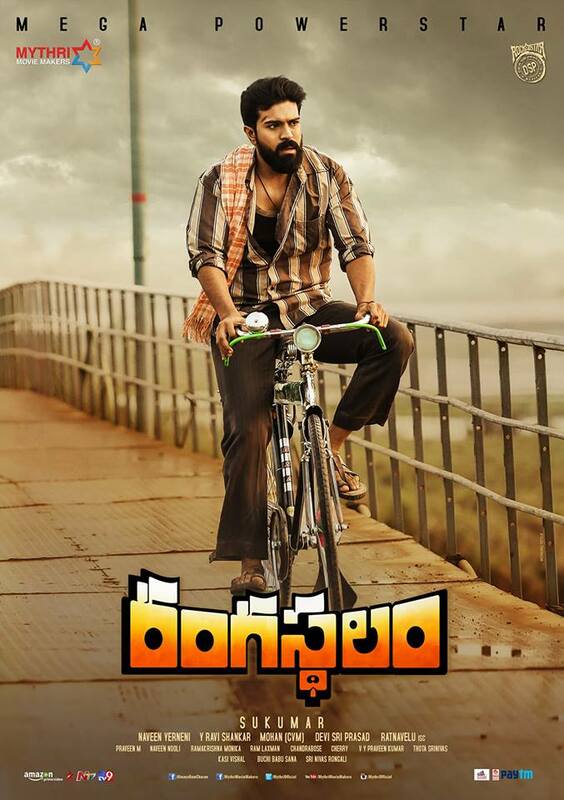 ‘Rangasthalam Movie’ is Producing by Naveen Yerneni, Y Ravi Shankar and Mohan Cherukuri Under Mythri Movie Makers Banner, DOP by R. Rathnavelu, Editing by Naveen Nooli, Art Direction by Rama Krishna Monika, Fights composed by Ram – Laxman, Lyrics written by Chandrabose, Story and Dialogues Written by Thota Srinivas, Kasi Vishal, Buchi Babu Sana, Srinivas Rongali. 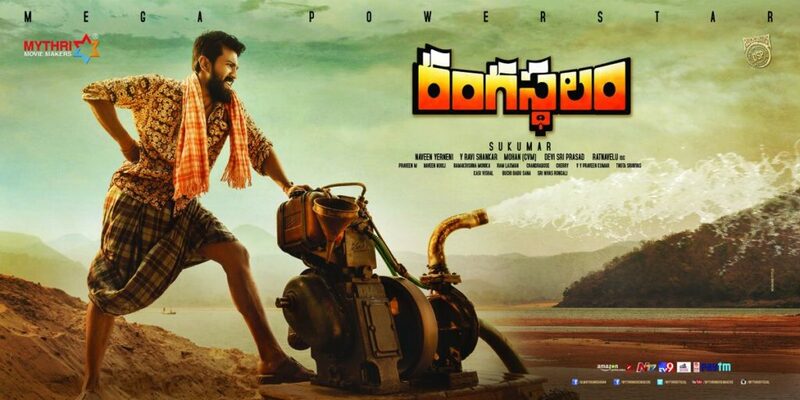 Will the Movie takes Ram Charan, Samantha and Sukumar to the next level….Let’s take a look on the Rangasthalam Movie Review. 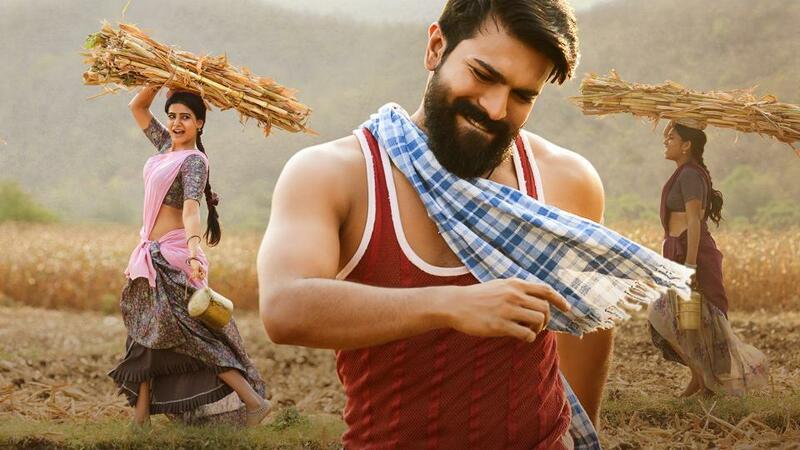 Chitti Babu (Ram Charan) who runs a boat for his livelihood becomes the trusted and talented person in the village to the villaagers and powerful landlords. But later Chiti Babu fights for supremacy in the Rangashtalam village Politics and the landlords who are behaving like dictaors. The villagers looks for survival and monotony against Powerful Landlords. Chittibabu handles the situation when a villager files nomination against these landlords. How he supported the villager and came against the Powerful Landlord Dictator are the rest of the Story. 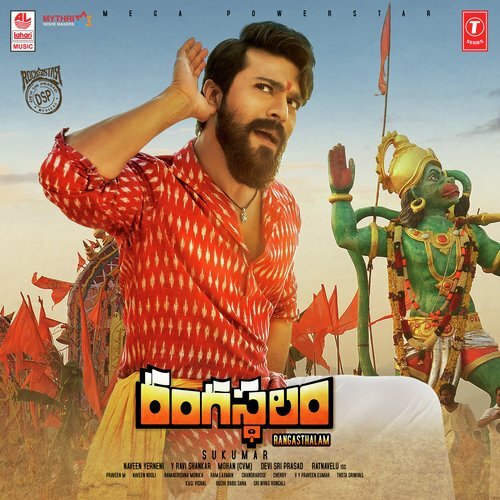 Mega Power Star Ram Charan Performance as deaf guy and uneducated engineer rocks that for the first time Ram Charan comes out from the commercial plot and selected a typically challenged performance oriented subject with monotony and 200% succeeded in his Role and Performance. Samantha as usually came up with tremendous expressions and cute bubbly smile on face and amazing performance as a village girl. Aadi Pinisetty as Kumar Babu and as Chitti Babu’s brother done exceptionally well and justice to his role. Jagapathi Babu as President and dictator in the village resembles once again Rao Gopala Rao Garu in odd roles in old movies. Totally all other Characters done by the artists in the movie like Pooja Hegde(Special Song), Prakash Raj, Amit Sharma, Naresh, Rohini, Gauthami, Bramhaji, Anasuya Bharadwaj, Rajesh Diwakar done justice to their Roles. It’s Totally Sukumar’s Master Piece Classical Cult in the sense of Screenplay, Story Narration and Presentation of emotions and Technical brilliancy are delivered exceptionally well. Devi Sri Prasad livelihood Music and Back ground Score brought life to the Rangasthalam 1985 Movie. Thota Srinivas, Kasi Vishal, Buchi Babu Sana, Srinivas Rongali Story and Dialogues Writing, Navin Nooli Editing, Rama Krishna Monika Art Direction, Chandrabose Lyrics, R. Rathnavelu Cinematography which mesmorizing and visual eye feast, Sekhar Msater and Jhani Master Choreography, Ram – Laxman Stunts are Amazing and brought the movie as a Classical Cult. Rangasthalam 1985 Movie is Story of Typical Rangasthalam Village backdrop in 1980’s looks for survival and monotony from the Dictators. Must and Worth to Watch.